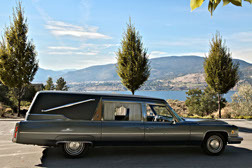 When Hansons began serving families of the Okanagan Valley, it was this very funeral coach that was used, first as a primary coach and then later as a secondary unit. In the year 2000, this coach became a 'classic', and as such, it was taken out of active duty and placed in a heated storage as one of our 'Collector Coaches'. Our '75 has significant sentimental value, as it carried my best friend (pilot, killed in plane crash, 1991) and my Dad (who passed away in 1993) to their final resting places. 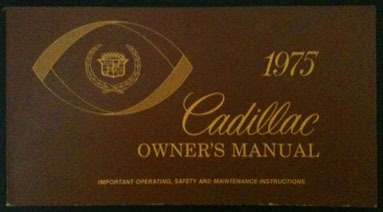 Both John and Dad had driven this Coach many times at funerals. 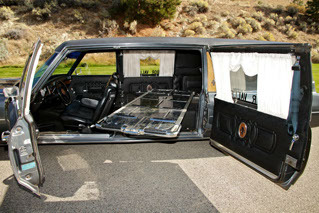 This was one of the largest funeral coaches ever built. It is powered by a 500 cubic inch displacement V8 (8.2 litre) engine. It is 256 inches in length (6.57 meters) and weighs 6,000 pounds (2,728 Kilograms). 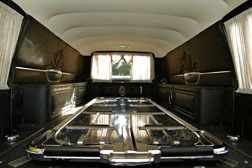 The 3-Way load/unload style coach was a design pioneered for the funeral profession back in the 1920's and was manufactured into the early 1980's before finally being 'laid to rest'. 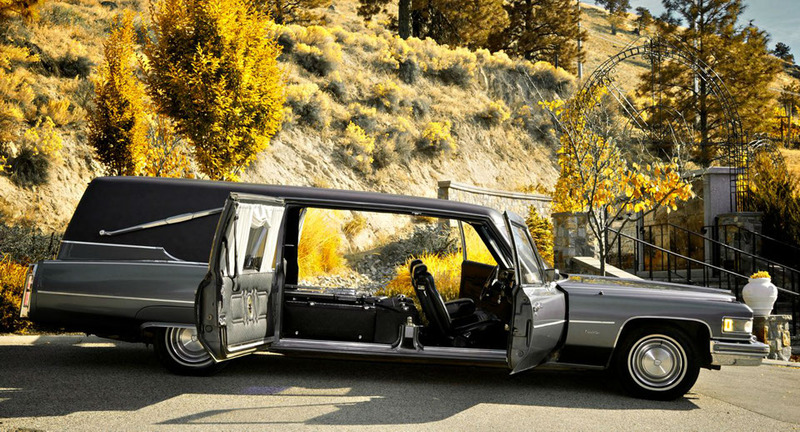 Due to the much higher cost combined with declining demand for coaches in general, the few remaining manufacturers begrudgingly discontinued this limited production specialty style of funeral coach.